The Fellowship was fortunate enough to obtain a copy of GRIMM FAIRY TALES: THE DREAM EATER SAGA Volume 2 trade paperback from Zenescope. Raven Gregory, Joe Brusha and Ralph Tedesco wrote the story; various artists and colorists contributed; Jim Campbell is the letterer. The story here is not complicated: save the world from big, nasty supernatural forces. But it’s done over several titles, with enough diverse characters and story threads to make it interesting. All of the threads come together for the ‘boss fight’ at the end, and the alliances almost collapse a couple of times, which I found refreshingly realistic. The art is visually striking (for the most part; there is some variance since so many varied artists are involved) but overall adds to the world nicely. 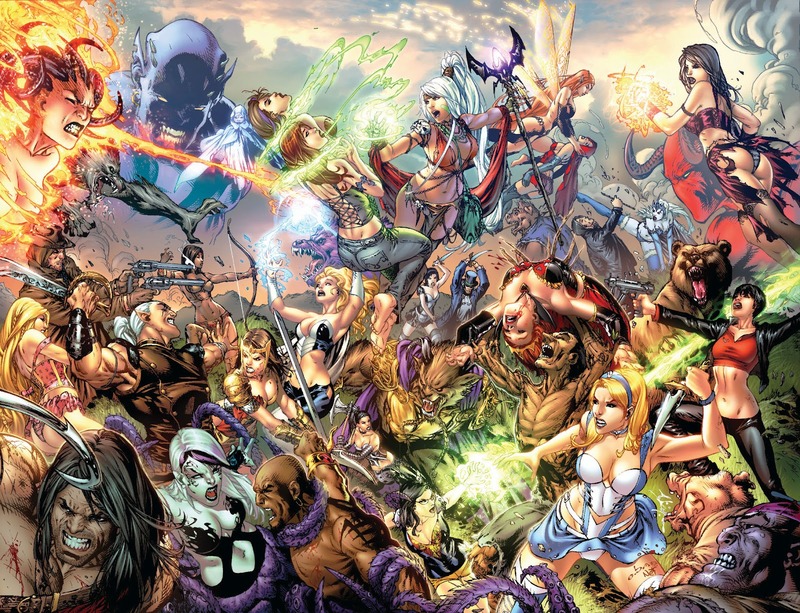 I like how the story is brought together, and I think Zenescope has built a fascinating multiverse here. GRIMM FAIRY TALES: THE DREAM EATER SAGA Volume 2 is coming soon to your FLCS or by order from zenescope.com.